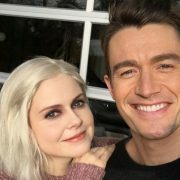 Finally, today we have the first exclusive promotionnal video of ‘iZombie‘. 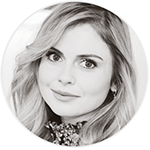 Rose McIver will play Liv, a medical student-turned-zombie who takes a job in the Coroner’s Office in order to gain access to the brains she must reluctantly eat so that she can maintain her humanity. However, with every brain she eats, she inherits the corpse’s memories. The show will air on the mid-season (january approximately) on the CW. As the video quality is poor, I will not make screencaps. I would make them as soon as we have a HD link.